We have two new artists in residence, Tony Edwards and Kristine Ballard. Tony’s works are photographs whilst Kristine paints on canvas. 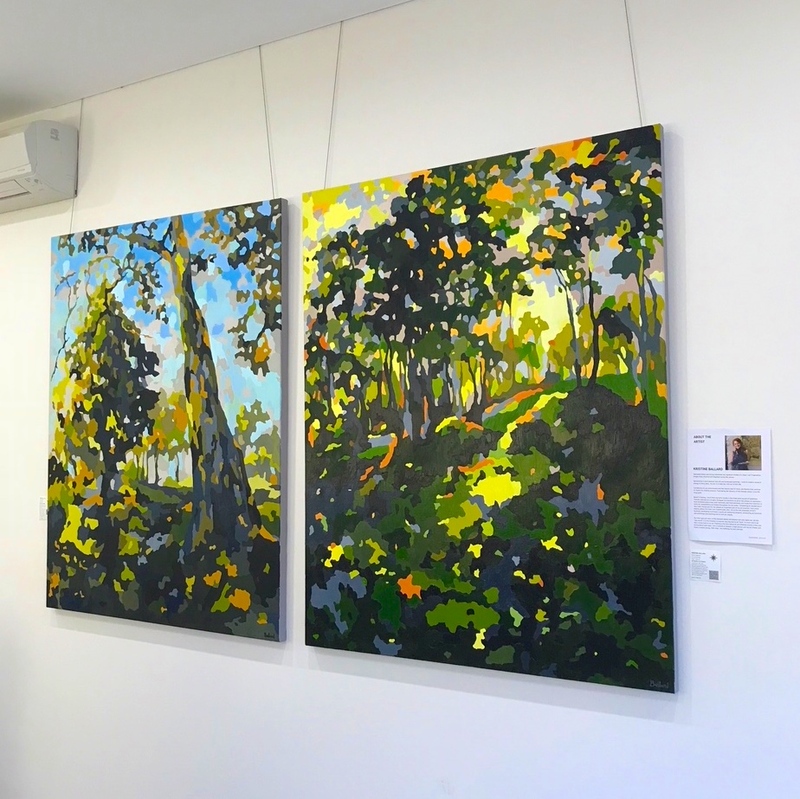 Pictured are two of her latest works - “Bush Tapestry and Gentle Master” , semi-abstract still life and landscape paintings. Kristine said, “ I want to create a sense of energy in every piece. My aim is to take the ’still out of still life’. Come and see for yourself… a wonderland pop of colour in our reception area.